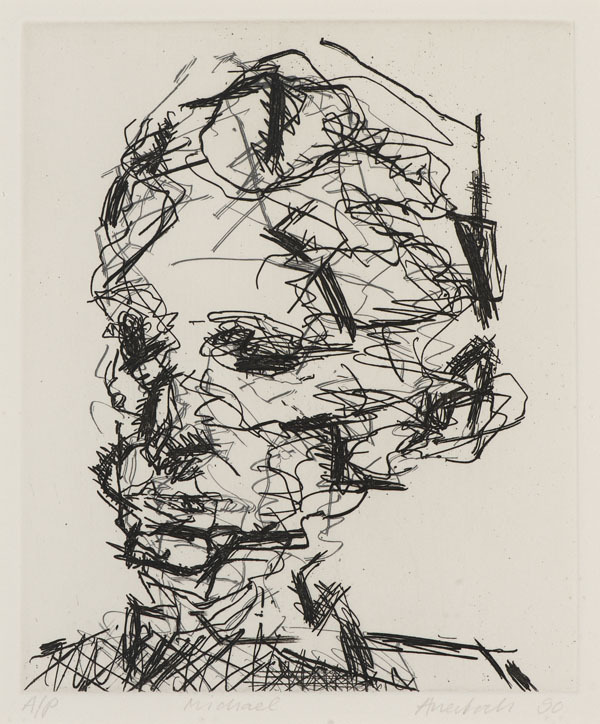 Frank Auerbach was born in Berlin to Jewish parents in 1931 and immigrated to England in 1939 (naturalised in 1947); his parents, who remained behind, subsequently perished in concentration camps. Auerbach spent his childhood at Bunce Court, a progressive boarding school in Kent for Jewish refugee children. 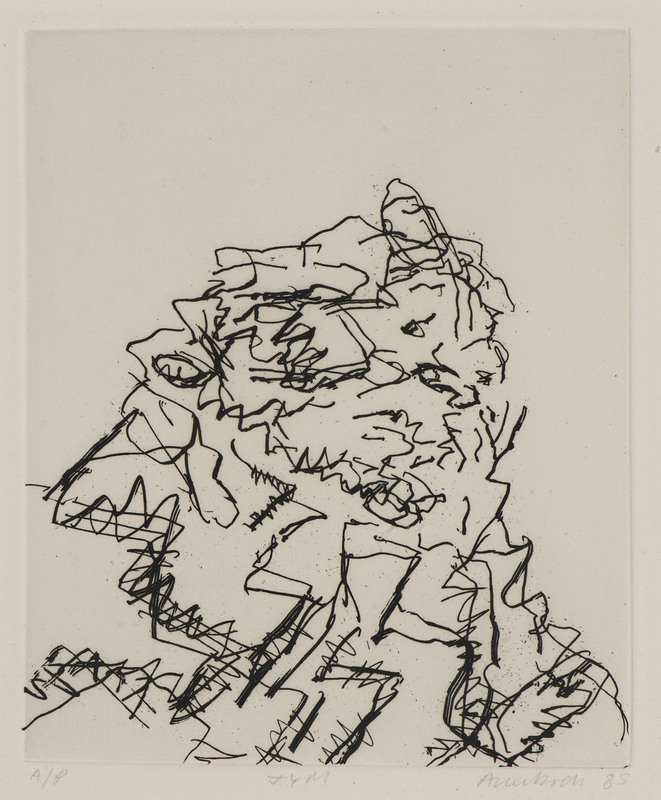 He attended St Martin’s School of Art (1948-52) and studied at David Bomberg’s evening classes at Borough Polytechnic together with Leon Kossoff, as well as at the Royal College of Art from 1952-55. 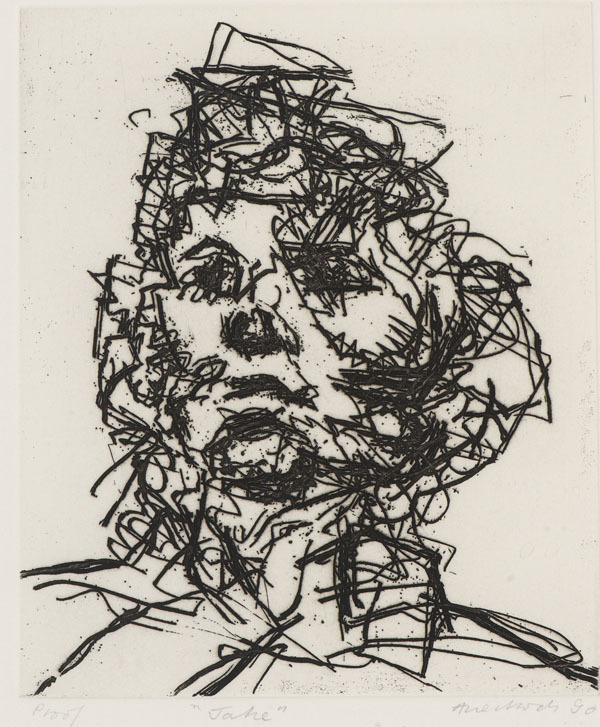 Shortly after completing his studies, he was given his first solo exhibition (1956) by dealer Helen Lessore at the Beaux- Arts Gallery, where he exhibited regularly until 1963, and then at Marlborough Galleries from 1965 to the present. 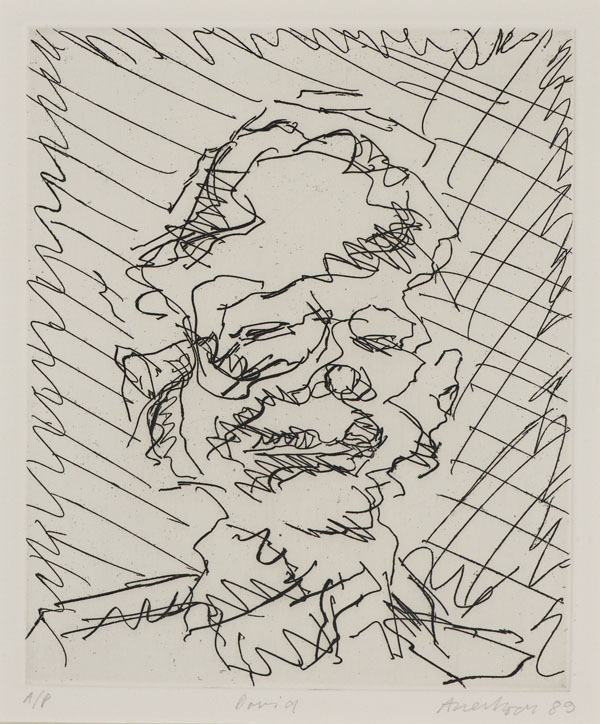 He has had retrospectives at the Hayward Gallery (1978), Tate (2016) and solo exhibitions at the British Pavilion in the 1986 Venice Biennale and the Rijksmuseum, Amsterdam (1989). 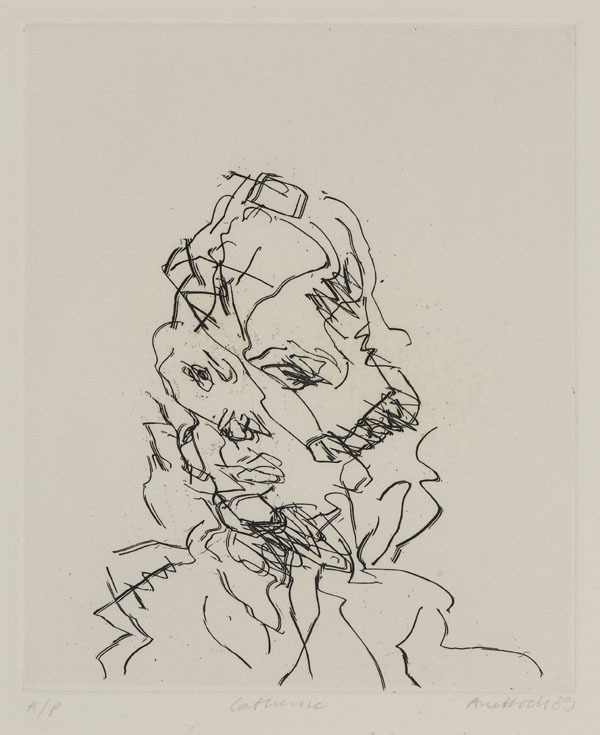 His work is represented in collections throughout the UK and USA. 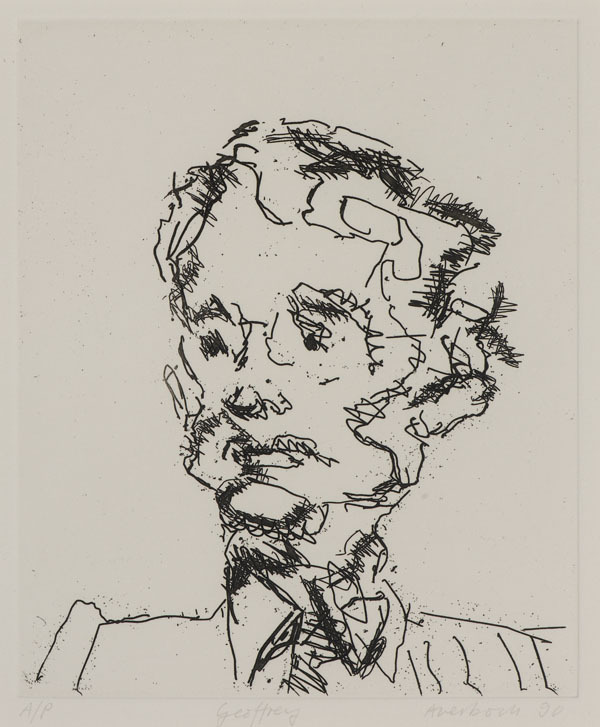 Frank Auerbach lives and works in London. Julia Yardley Mills (J.Y.M. 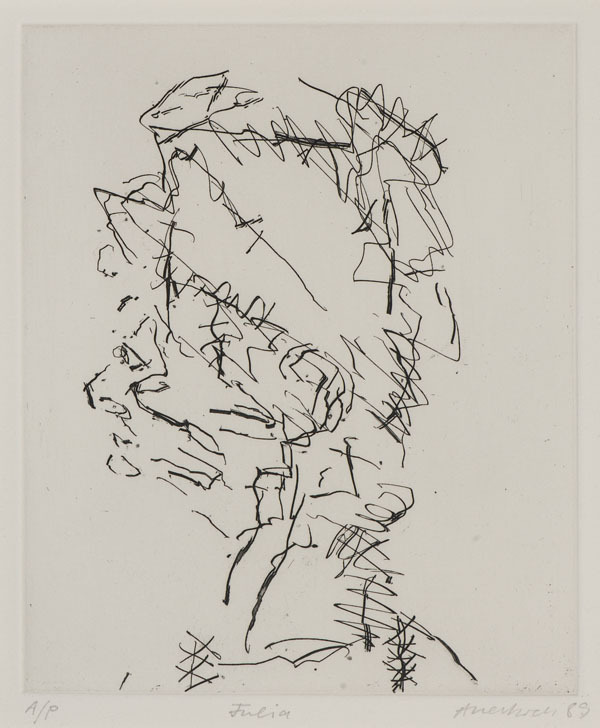 ), a professional model, who also became a friend of the artist, began sitting for Auerbach at Sidcup Art College in the 1950s, continuing, with weekly sittings, until 1997.